Wetlands are an area of land where water covers the land for a minimum of three weeks, while most wetlands average only of month of standing water or less there are wetlands that have standing water year around. So while the word “wetland” can be used in many applications when describing various soils type and their drainage. Wetlands are also called marshes and swamps. The length of saturation of the soil will determine which plants and trees will grow best. Other considerations are the depth of water and amount of sunlight the wetland receives on a daily basis. The first consideration is selecting plants and trees that are hardly within your growing zone or area.  Please make sure you ask an expert or call Nature Hills Nursery to verify if a specific plant or tree will work in your application. It might surprise you that various oaks, maples and dogwoods are planted as wetland trees. Wetlands are vital to keeping our environment healthy. Wetlands help filter unwanted chemicals and fertilizer runoffs from agricultural fields and provide habitat for certain wildlife species. As more and more people are becoming aware of the value of wetlands, they inquire about the availability of wetland plants. Beyond the obvious role of providing habitat for waterfowl and shore birds, the deeper role of wetlands is also becoming more and more apparent and understood. During high water and runoff seasons, wetlands act as a natural flood control. Wetlands also act as a natural filtration system. They remove sediments and even toxic chemicals from our water supplies. Some areas of the United States are even using wetlands as a natural sewage treatment system. Wetlands have the highest species diversity of all ecosystems. Many species of amphibians, reptiles, birds (such as ducks and waders), and furbearers can be found in the wetlands.